Felipe Anderson has been named in the FIFA Team of the Week following his sterling performance against Burnley last weekend. The Brazilian winger scored twice, hit the post and forced another great save from Clarets 'keeper Joe Hart to deservedly win the Man of the Match award at the end of the game. And his performance has now been recognised by the makers of the world's most popular digital football title, who feature him in this week's Team of the Week. 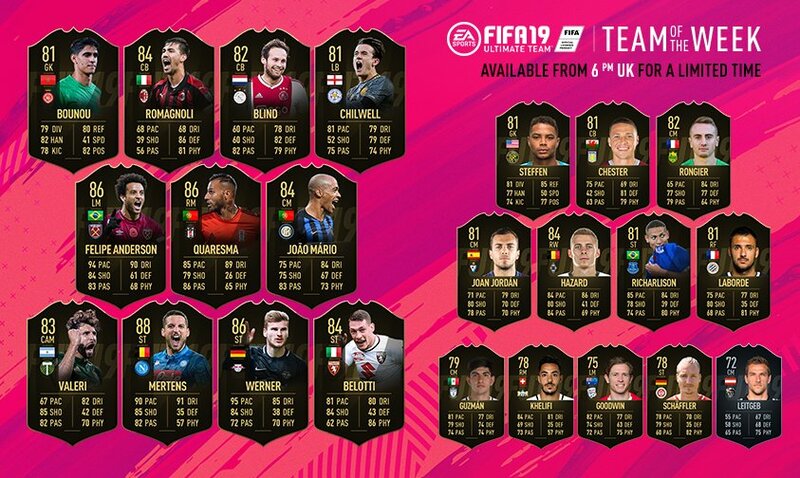 Anderson, who is normally rated at 82 by the game's makers has been upgraded to an 86 for his TotW card, which includes major stats boost to his shooting (up from 75 to 84) and physicality (from 60 to 68). The 25-year-old former Lazio star is joined in this week's selection by Inter's Joao Mario, who spent last season on loan at the Olympic Stadium. The Anderson TotW card will be available from 6pm GMT on Wednesday, for a limited time.